THE weather hasn’t exactly been summery for July, so sadly all the lovely shorts and t-shirts I optimistically bought have stayed in the wardrobe and we’ve been in trousers and long sleeves. 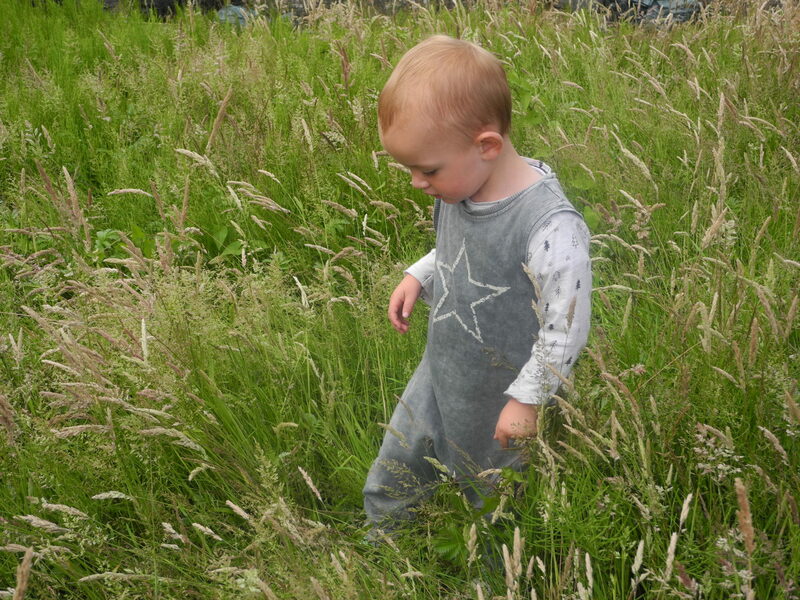 I did a big Zara shop for Santi a couple of months ago, and bought two rompers / dungarees that were intended to see us through Autumn. It seems we’re going to get the wear out of them in the summer instead. I don’t mind though because I love them, especially this grey one. 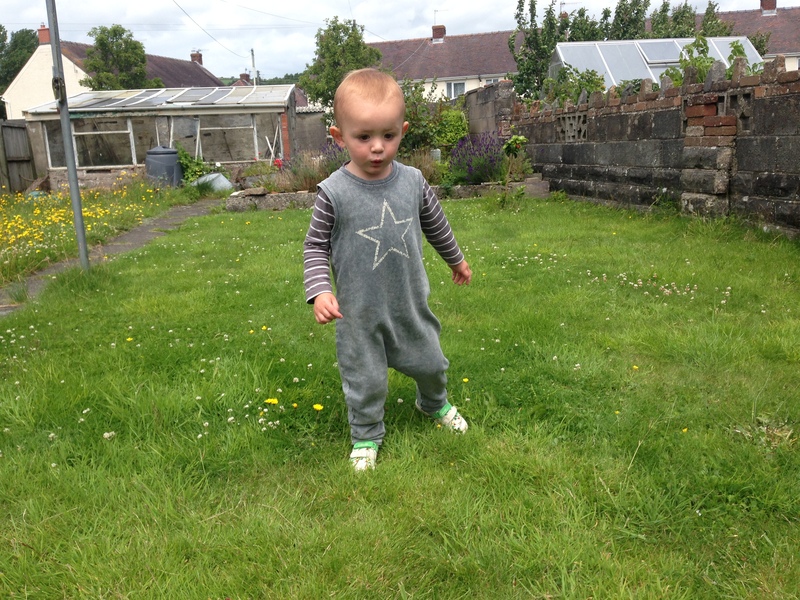 The romper is a textured grey colour, with a creamy yellow star on the front. There’s a pocket and buttons down the back, and it’s quite a stretchy fabric which makes it nice and easy for getting on and off. We’ve also paired it with a white long sleeved tee with little trees on, which is also from Zara. Hopefully we’ll get Santi into some of his new shorts and t-shirts before next week’s post! Ezra’s outfit this week is a bit special because it’s actually what Santi wore home from hospital when he was born. It’s a little vest with a zebra print on and striped leggings that came as a set from H&M. There’s a matching hat, but I didn’t manage to get a photo with it on. And look, he’s smiling!!! H&M do loads of these three piece sets, which are great value. They tend to come in sizes 1-2 months, 2-4 months etc, which is really handy for when your little one is between regular sizes. That’s it for this week! I’ve done a little bit of sneaky online shopping so we might feature something other than Zara for a change in the coming weeks! For more of our outfit posts, why not follow us on Instagram? 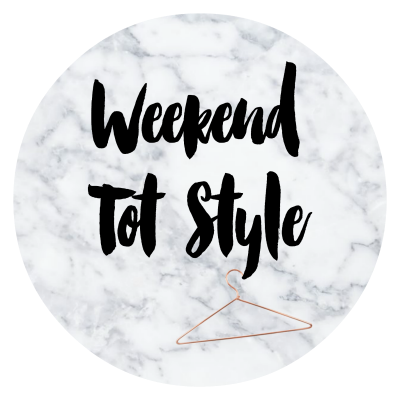 It’s lovely to see trendy little dudes on #WeekendTotStyle! 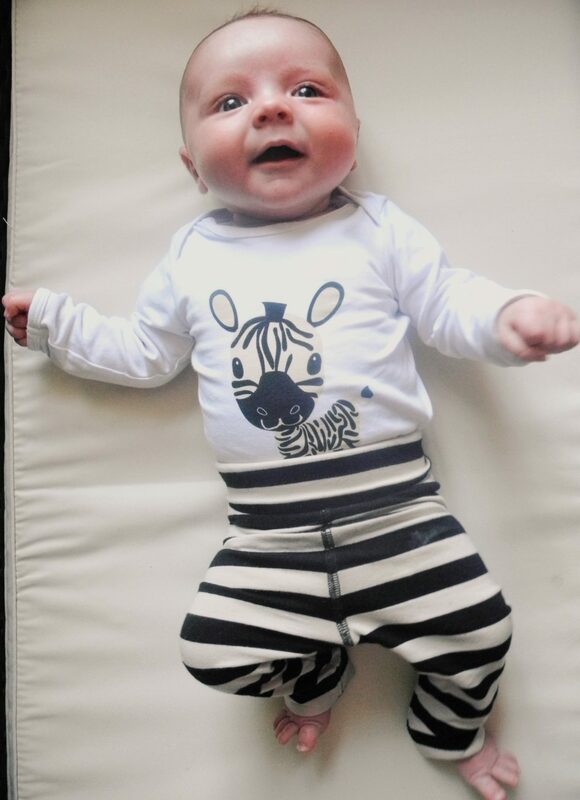 Rocking the stripes and monochrome…onto a winner there! They look so cute and stylish as always! I love a bit of Zara and H&M for my boys too!